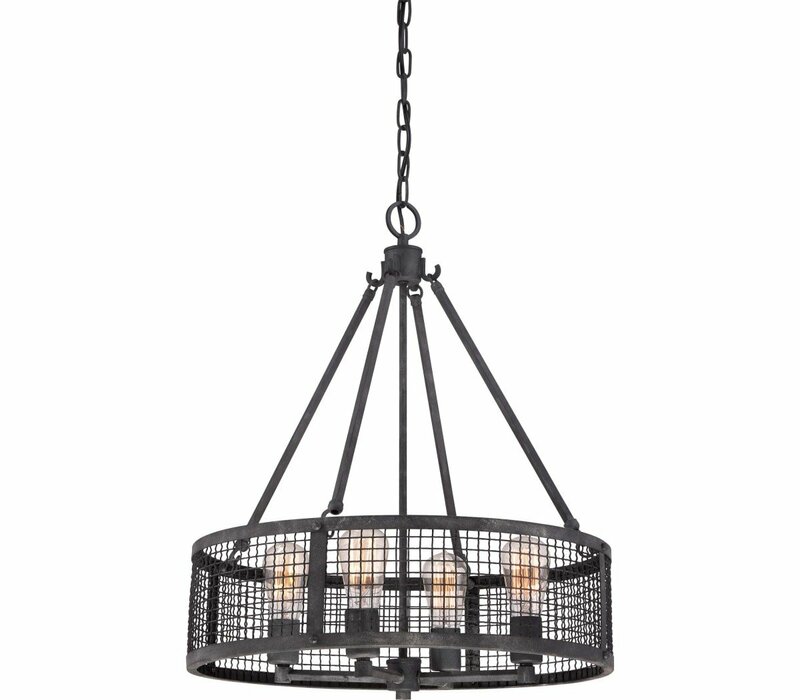 Chain: (1) 4 Ft. in Mottled Black Finish, Wire: 8 Ft. 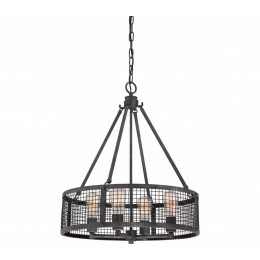 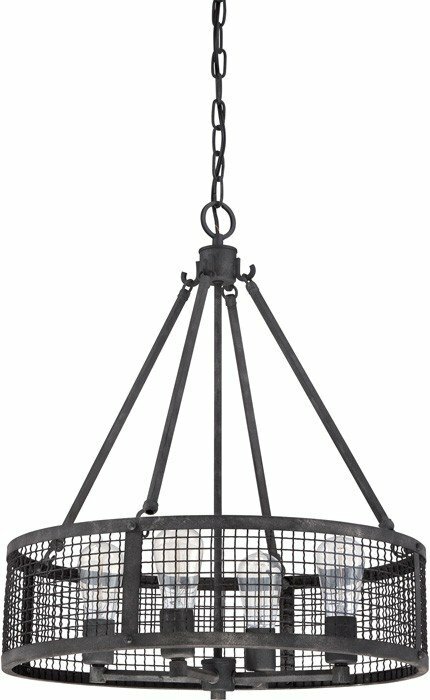 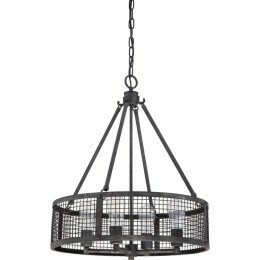 The Quoizel WLR2820MB Wilder collection Pendant Lighting in Mottled Black uses Fluorescent light output and brings Transitional style. 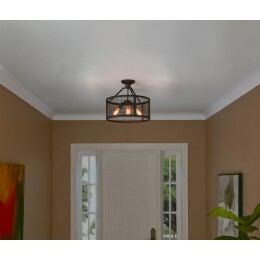 This item is 24.5"H x 20.5"W x 20.5"L. The wattage is 100. 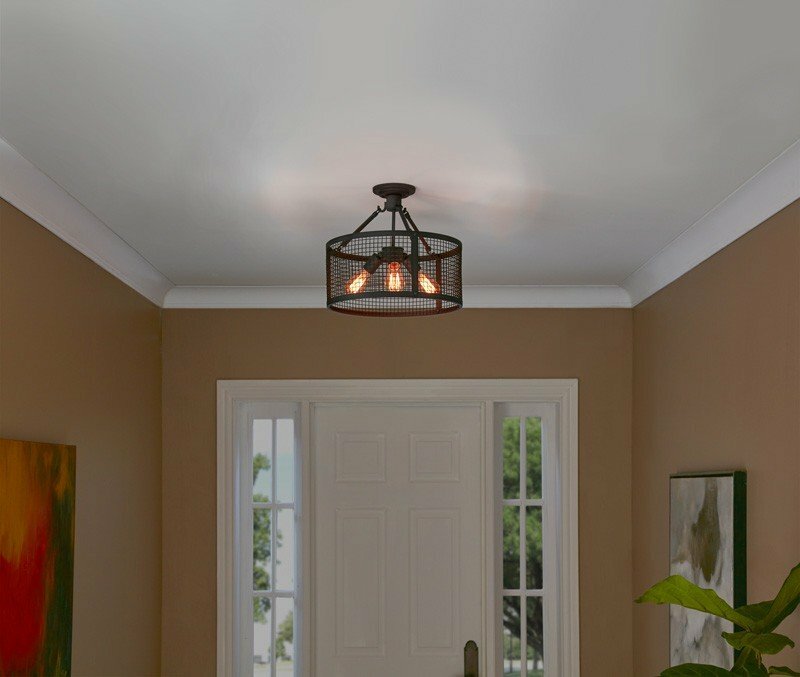 The Quoizel Lighting WLR2820MB requires 4 bulbs (included).